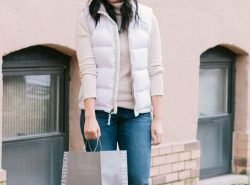 Living in Chicago, I have learned that finding the best coat for Winter is essential. And when I mean the best, I mean the one that can keep me really warm. If you live in Chicago, you know what I mean! Right now our temperatures are 1 degree (add the windchill and it’s more like -10!) and the highest it has been was yesterday, 16 degrees (and to some that feels like a heat wave). Winter is just cruel when it is no longer the holiday season. To survive the brutal Chicago winters, last year, I discovered a parka that is seriously the best coat for Winter. 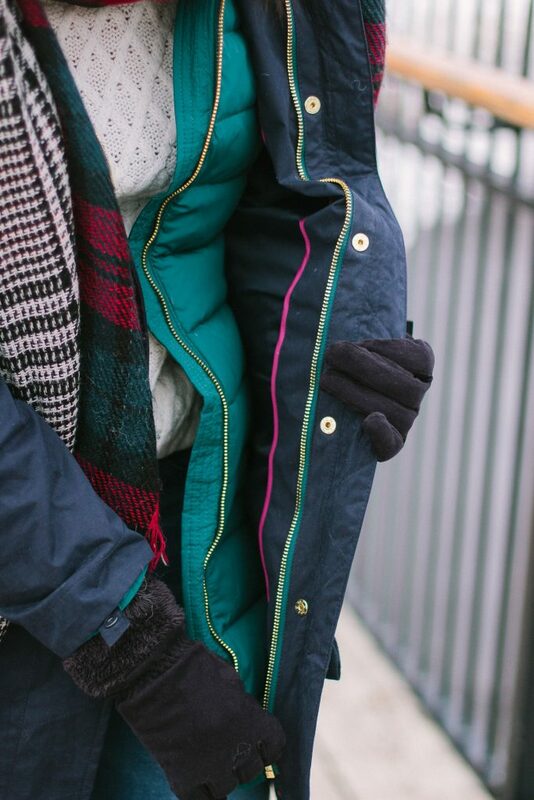 That coat is the Joules 3-in-1 Waterproof parka. This coat is made for the Arctic! Chicago Winter and Arctic, practically the same thing right? Haha! I tested this coat out when we were in Quebec City about a month and a half ago. Canada gets cold pretty early on in the season, so I knew it was the perfect place to wear it. 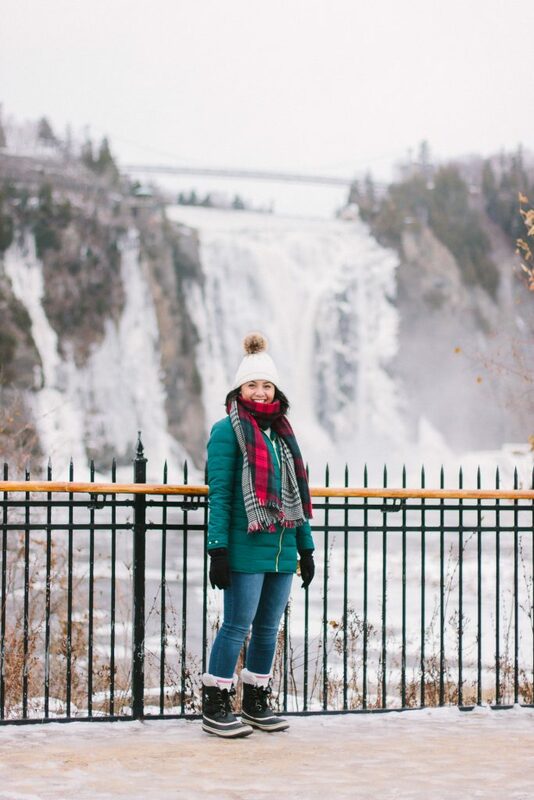 These photos were taken at the Montmorency Falls and boy was it a very cold day. I can’t remember the temperatures, but I knew we could not be outside that long! And the fact that we were right by the water, made it that much colder! 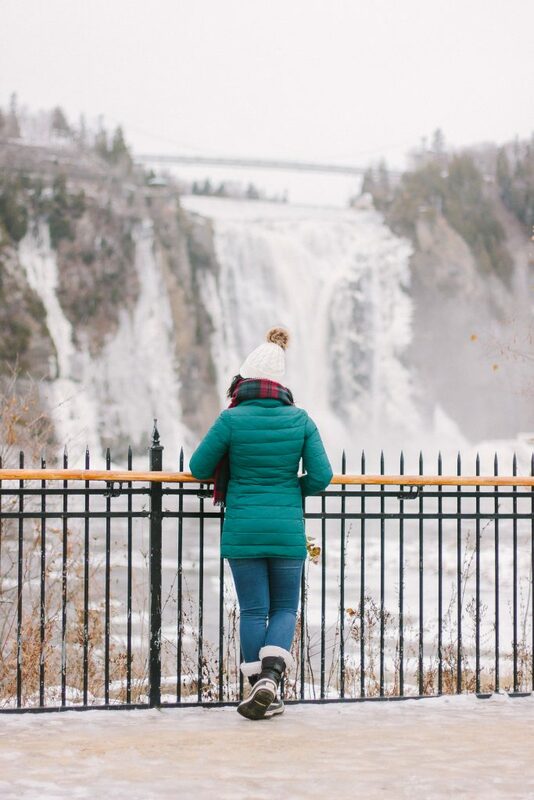 I highly doubt that I will be outside for 2 hours straight during the Winter like what we did at Montmorency Falls, but the coat proved to keep me warm enough. Staying outside for more than 2 hours would be a bit excessive for me. If you haven’t noticed by the name, this coat is basically 3 coats in 1. There are 2 layers of this coat which is why it is made for the Arctic. The interior is a puffer coat. 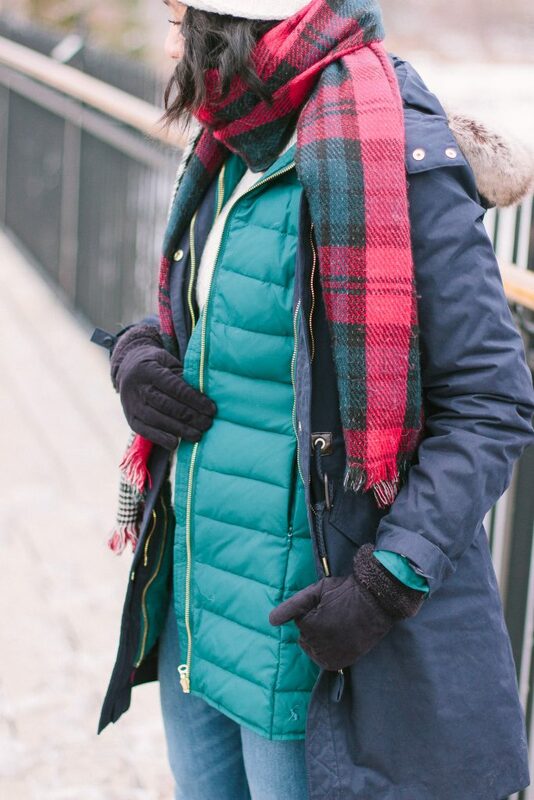 So if you still want to be warm but don’t need as many layers, there are interior zippers that can be undone and you can wear the puffer coat by itself. How cool is that! Or, for ‘warmer days’, or getting close to Spring, you can just wear the top layer on its own. 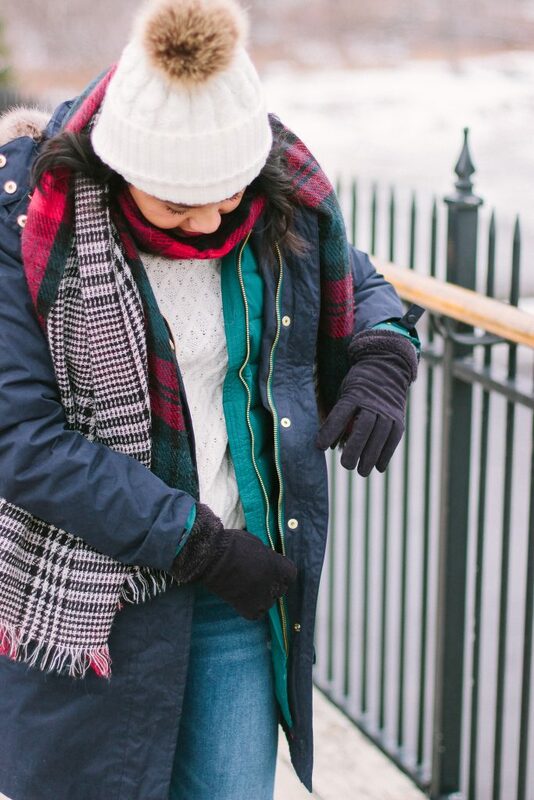 Wear both layers as a Winter parka for freezing temperatures. 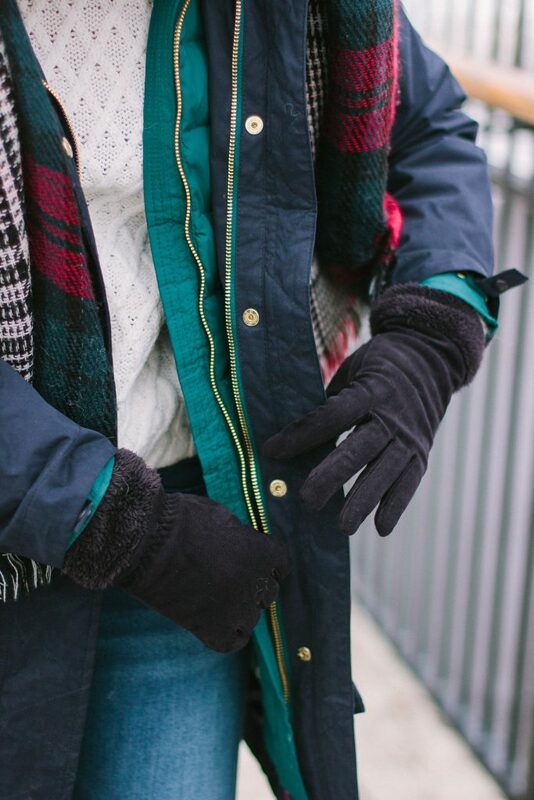 Wear the puffer layer as a puffer coat for cold but not freezing temperatures. 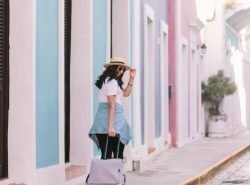 Wear the top layer as a Spring jacket or rain coat for spring-like temperatures. Each layer of the coat is waterproof. So for rainy days, slushy snowy days, or days to go see a gigantic waterfall, you will for sure stay dry. Nothing worse than being cold and wet! I normally wear a size small, even in winter coats. Usually there is room to give. For this coat, I am wearing a size 8. The size 8 is equivalent to US size 4, which is the same as a size small. The coat still had room to wear a sweater (I am wearing a turtleneck sweater under the coat), but it did feel more snug compared to my other Winter coats. I am assuming the layers made it slightly more snug. I have another coat from Joules and it is a size 8 and it was roomier than this coat. So I recommend sizing up. I probably would go with a size 10 in the future. But seriously the size 8 is not a big deal. I can still wear a thick sweater and move around comfortably. 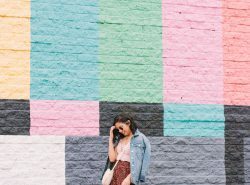 Hope you guys find this helpful! I also hope you all are staying warm! Ommgggg! You look so cute and cozy! 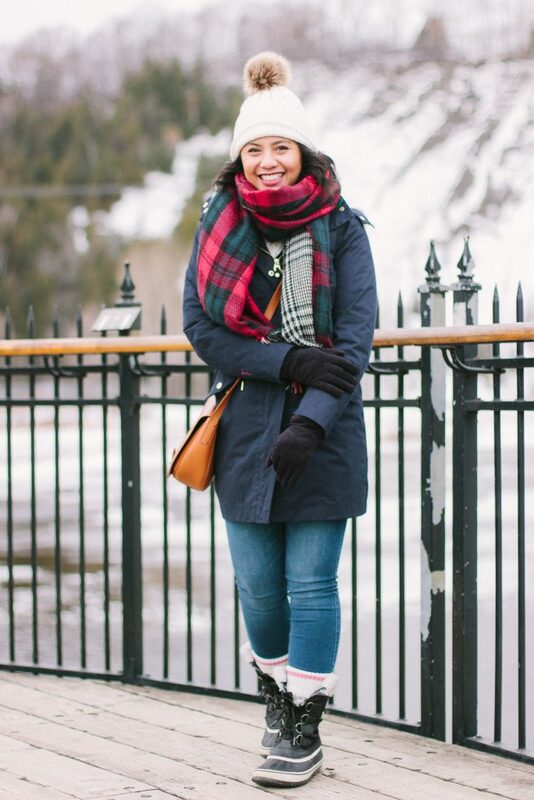 This is a great winter look! ahhh so comfy but looking good dressed for the cold! Here in Montreal, Canada, it’s the same thing. Always looking for nice winter items that are also practical. Great colours, I love the scarf and the coat! Have a wonderful 2018! Such a helpful post! I’ve always wanted a 3 in 1 coat. They’re a bit expensive but so worth it! So glad you find it helpful! It is pricey but not that much pricey compared to a regular winter coat! I love your 3-in-1 coat! It is gorgeous, and it looks definitely warm! Also great photos…the scenery looks amazing! Thanks Valerie! The Montmorency Falls is beautiful! these coats are great for winter! Thanks Emma-Lynn! Let me know if you end up getting this coat! Great look! Winters in Chicago must be so fun! I grew up in Poland so I love snow but we don’t get much of it here in London! It just rains all the time and it’s very windy! They’re fun at first, but honestly, I am over the cold. It is super Windy too! Haha yea! I have been staying in! I have to say I have a good winter coat, but I think is not fashionable . The green one that you are wearing looks very cute. Thanks Neisha! They are the same coat. It is a 3-in-1 winter coat. SO basically you can get 3 coats for the price of one! Love how versatile this coat is!! I love your bag so much! 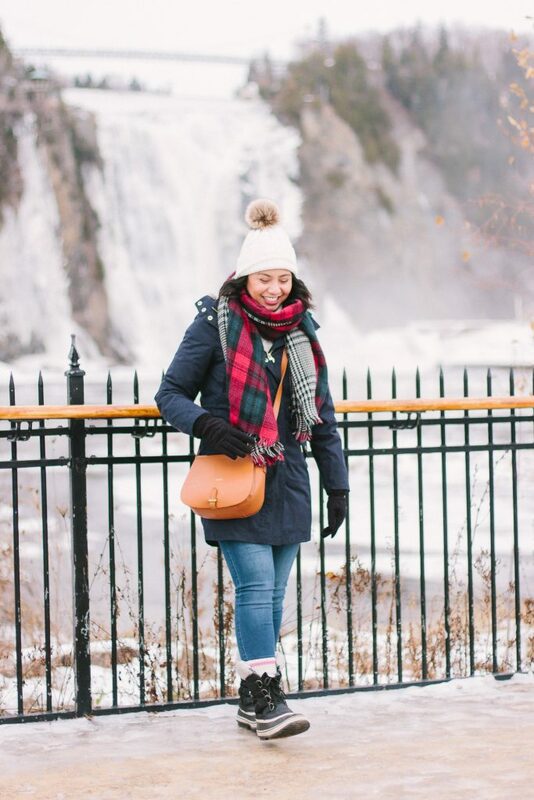 Great winter outfit! I never own a parka coat since i am living in a tropical country but this seems pretty interesting that it has a lot use. Thanks Jane! I’m sure you don’t need to. It is hot in the Philippines! Ooh, love these coats! They look so cute and warm too! And that puffer coat looks amazing, love the color. Thanks Kileen! THey’re actually one coat. It is so nice that the coat has 3 different options! Such a pretty color! I just love Joules! Thanks Liz! Love Joules too! That coat is too cute and SO nice! Love that it is a three in one. Amazing! That coat is so cute. I love it. That is such a great idea! You look adorable in this outfit! I live in DC and it can get really cold around here too – the average temperatures have been less than 10 degrees and that god awful windchill is horrible (though I’m sure Chicago is worse). That parka sounds like a dream come true! I have Raynaud’s syndrome so getting cold for me is painful! I need a coat like yours in my life! Oh yea, you guys got some crazy snow storm! Stay warm! I remember you mentioning that. Hopefully you are okay! This is perfect for your winter! I love the layers – so cute! I’m in love with the color of your coat! So pretty. And thanks for talking about the sizing … always good to know since online shopping makes it difficult sometimes! Thank you so much Ashley! Glad I can help! The coat is fit on you. And it looks very warm. I love your outfit that looks soo cool! I love the change of colors! That parka is so cute! I love that you can wear it 3 ways because it’s just so convenient, especially if you live in a place with tons of climate changes. Thank you Helen! I totally agree with you! Thank you Tania! Haha you are lucky you don’t need a parka in Cali! I am very jealous of your weather right now! It’s so hard to find a cute coat that’s also warm, but this is perfect!! It looks and sounds very versatile! For that price, it was definitely great they made it versatile. Lol!! Expensive wow!! -But you look so good in it. very good and helpful tips my dear! i like your parka so much! 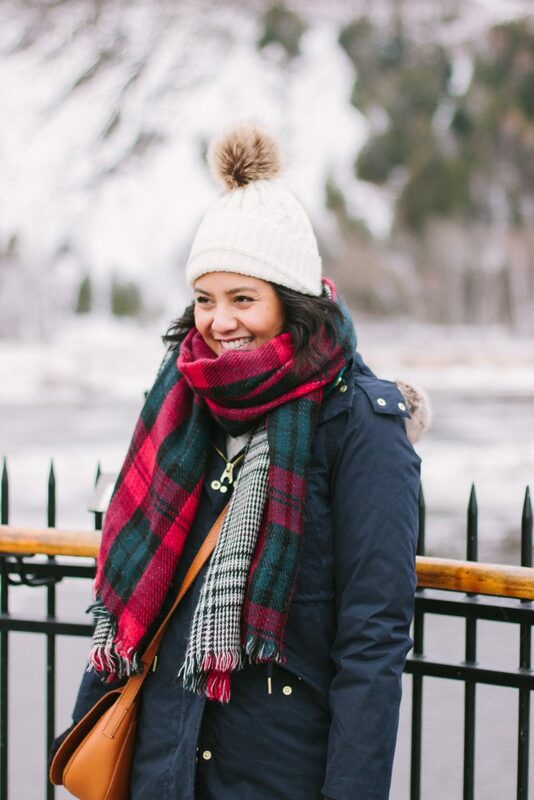 You look so cute bundled up! I have a similar parka that I don’t wear often because Vegas weather is almost always so great and sunny! Oh yea I bet you don’t need one there! I’m so jealous haha! This is a great coat. I usually size up my coats a size or two. I think oversized in coats are a safer option since I can size it down the right size. That is so true! Great mindset Esraa! Perfect coat! You look super cozy!! This coat is absolutely amazing. Must be sooo warm! You look so cute in the parker, Rach! On a different note, did you and hubs watch the Bills yesterday? They made it into the playoffs but unfortunately lost yesterday! My hubs was SO upset…Oh my! Thank you so much Vanessa! Yes we did!! I was so happy that they made it. Unfortunately they lost but hopefully this puts them in a good spot next year! My husband was so upset too!! Such a cute coat! If you live in Chicago then you for sure need a good one ;-)! Hah right? I’m sure you understand! It does have a pretty green color! That does sound like a pretty awesome coat! I live in Toronto and it gets pretty dark cold here! However, for the days where its a bit less cold, my parka tends to overheat me. Yours is so good because you can remove some of its layers! Oh yea I bet it gets just as cold there! I definitely love the layers exactly for that reason! Great winter looks. Keep warm during the cold season. 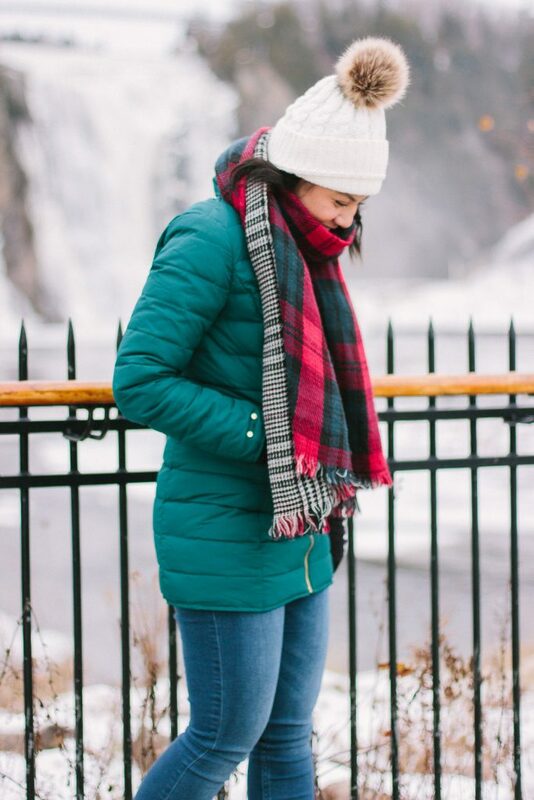 What a great coat – especially for travel since you always want to have lots of options but are limited on space! It would be cool if you could individually choose the color of both layers. Oo I like that idea about the colors! I hope they do come out with that! I remember seeing this parka on the gram. I didn’t realize it was a 3-in-1. So fun! Right?! Such a fun surprise! I love the colors of your coats dear! They look so soft, comfy, and cozy too. Rach, que bien me vendría tu look de hoy, hace un frío de cojones. En fin, el color del plumas es chulísimo. 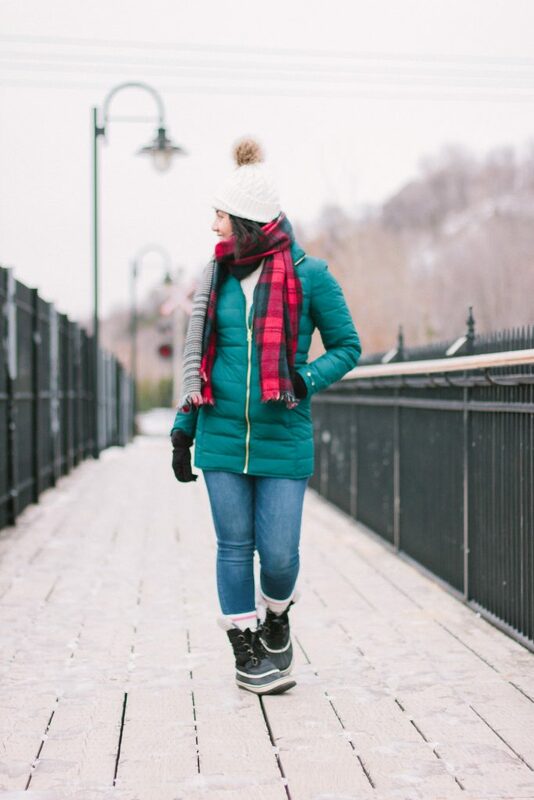 You look super cute and cozy in that pretty coat, Rach! I love this look on you. Stay fabulous! Loving that jacket!! Looks perfect with your hat and scarf!! I love the puffer coat look! I wish it were cold enough where I live to need one. you look so cute! You are lucky it doesn’t get that cold!